Christmas is just around the corner, but gift inspiration can be hard to come by. 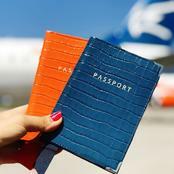 So, what do you buy for the woman who has it all? Fortunately, we have an inspiring selection of lavish gifts you can shower your better half with this festive season. From decadent leather designer handbags to petite and perfectly proportioned mini trunks, explore our elegant range of gifts just for her this Christmas. 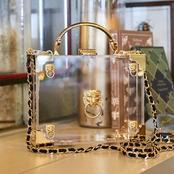 Make her feel like royalty as she unwraps her carefully selected piece from Aspinal of London. 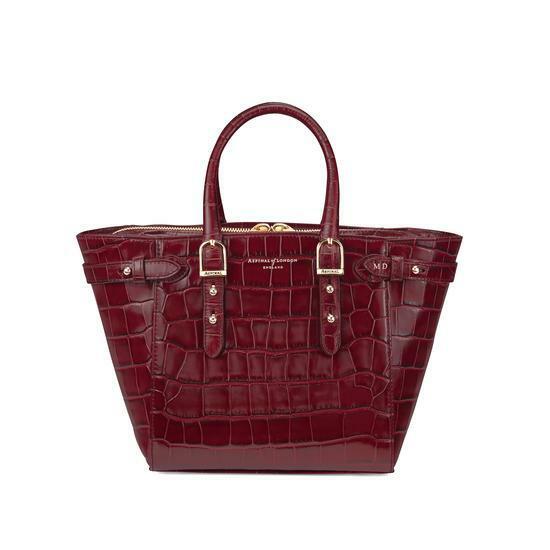 Mini Marylebone in deep shine Bordeaux croc. 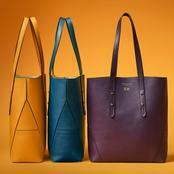 Part of the timeless Marylebone Collection, this miniature rendition of the iconic Marylebone tote is sure to impress. Brilliantly lightweight, this dainty and meticulously designed tote has been turning heads all season and will be a welcome addition to the wardrobe of that special someone. Mini Trunk Clutch in smooth dark brown & tan snake print. 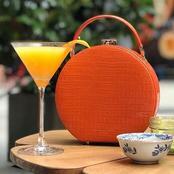 Show your loved one you are ahead of the fashion curve when they open this handcrafted mini trunk on Christmas Day. 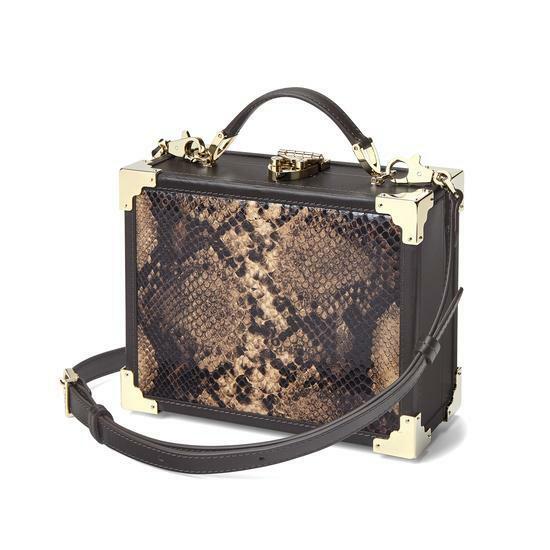 With snake skin print and smooth brown leather, its striking visage, signature shield lock and glistening grosgrain will undoubtedly leave an impression. 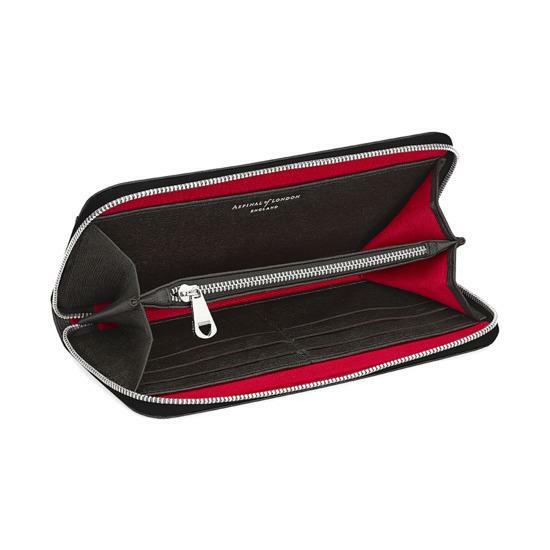 Continental Clutch Zip Wallet in black saffiano. 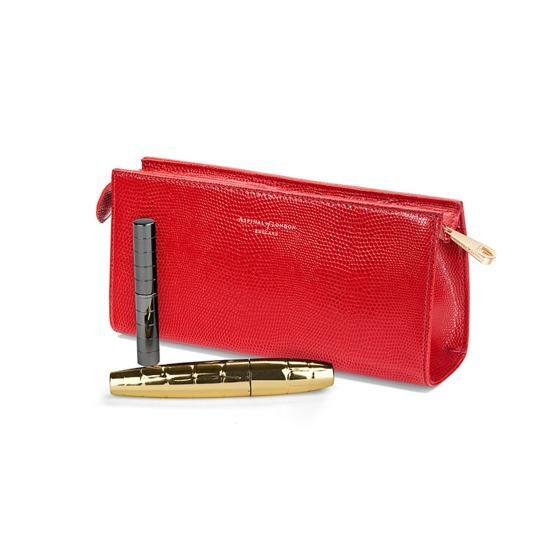 The Continental Clutch is a superb gift for an unorganised loved one. With an abundance of pockets for cards, coins and everything in-between, this Christmas present will bring order and style into their life. 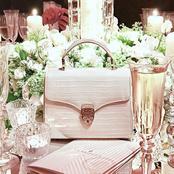 This gorgeous handcrafted zip wallet is the perfect handbag accessory this festive season. 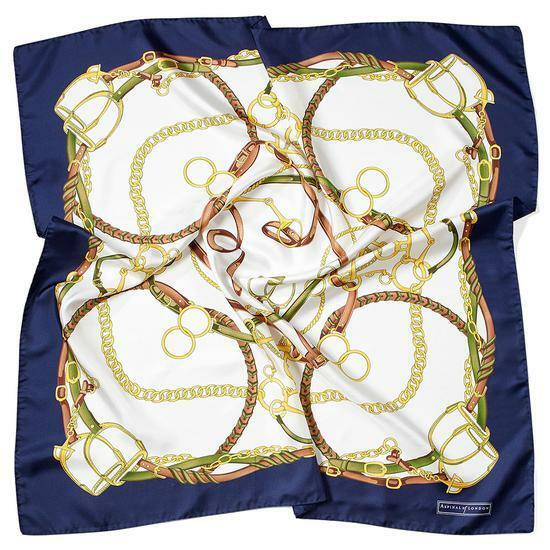 Horseshoe Silk Scarf in midnight blue silk scarf. Delicate and destined to be cherished forever, our silk scarves are an excellent gift choice for those with sophisticated collections. Explore our range of specialist prints and silks that are sure to make her feel special. 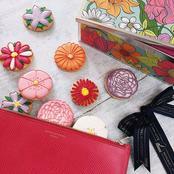 Elegant and refined, this stand-out cosmetic case is perfect for storing her favourite cosmetics essentials. Its vibrant semi-gloss satin finish is both graceful and practical. Resistant to both oil and water, the exterior wipes clean of any cosmetic marks, making it very easy to maintain. 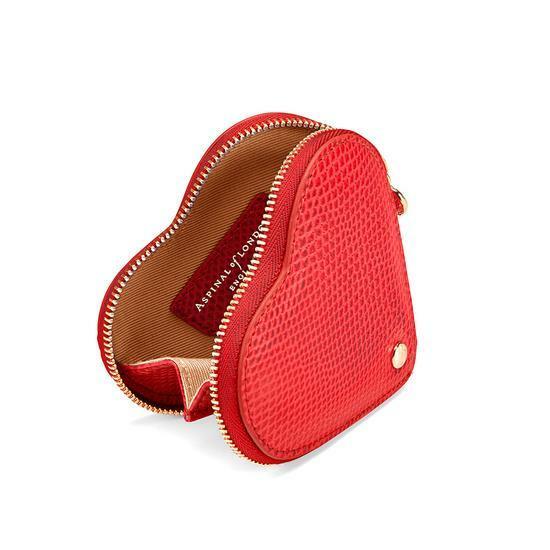 Stocking fillers don't have to be boring, so why not add an extra layer of lavishness to Christmas proceedings with this petite heart-shaped coin purse? Its compact design means it can be hidden away discreetly, yet it's handy enough that your coins will never be far away. 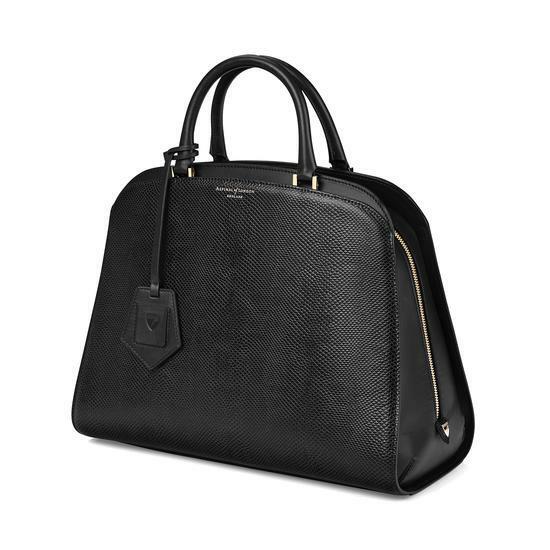 The Mini Hepburn Bag in Jet Black Lizard. Another icon that's set to capture the imagination this season. Its classic silhouette is instantly recognisable, so watch your loved one jump for joy when they unwrap it on Christmas Day. Available in jet black with a simmering red grosgrain interior and adorned with minimalist gold-toned hardware touches, this petite accessory should be the centrepiece of any handbag lover's collection. Looking for a more personal touch? Explore our range of personalised options to apply initials, names and dates with beautiful embossed golden embossed letters. Due to high demand, please allow an extra 2-3 days for delivery.